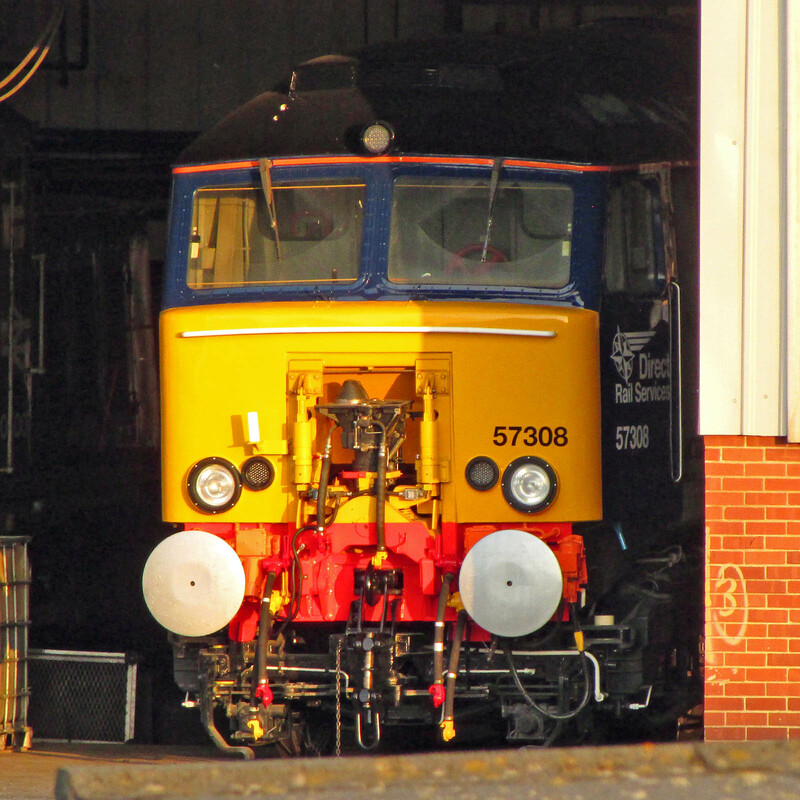 57308 awaits completion of its repair at Eastleigh Works, and return to DRS service. All pictures on evening of 4th May. 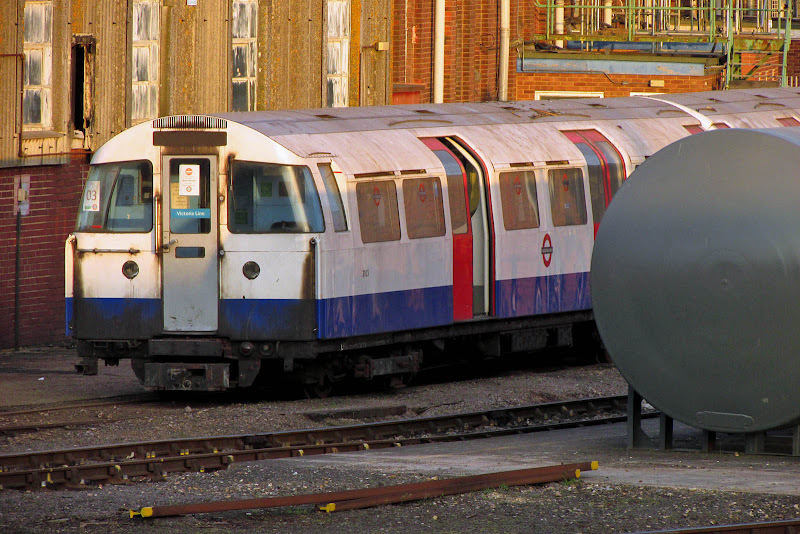 08879 has been run under its own power, but is back at its Raxstar barricaded position. 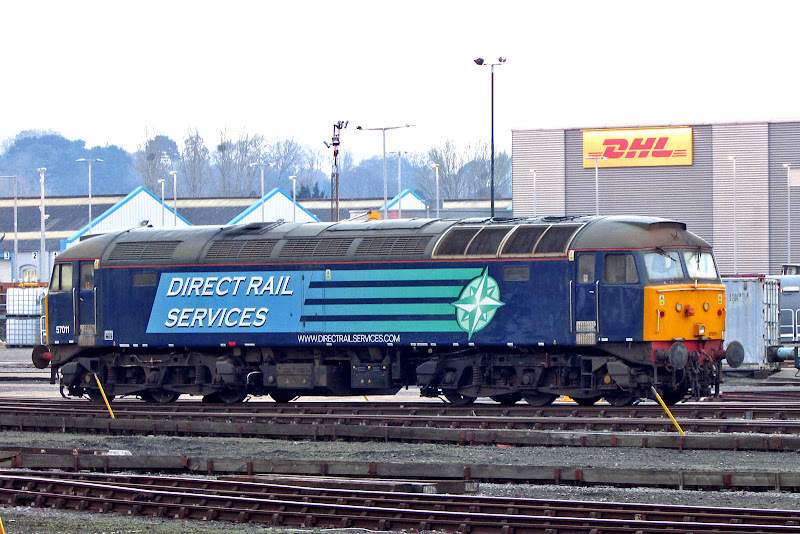 57011 - rumours suggest that DRS may wish this to be repaired to support a requirement for 2 @ 2x Class 57 for nuclear traffic. LT 1967 stock 3103, withdrawn on 7th June 2011, moved to Eastleigh 16th June 2011. 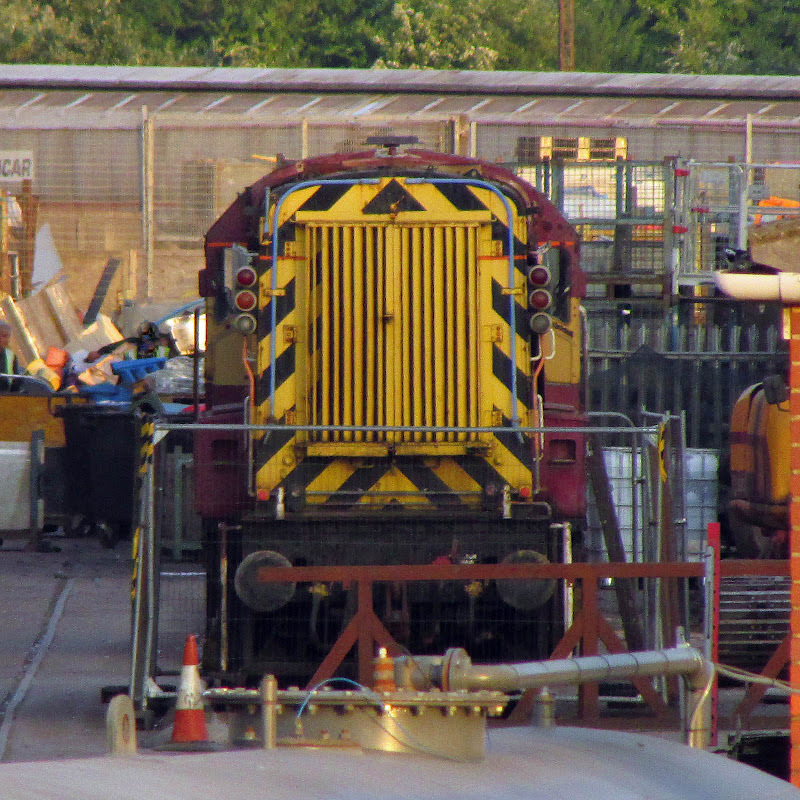 KFA TIPH 93482 has been in internal use at the works for at least a year. 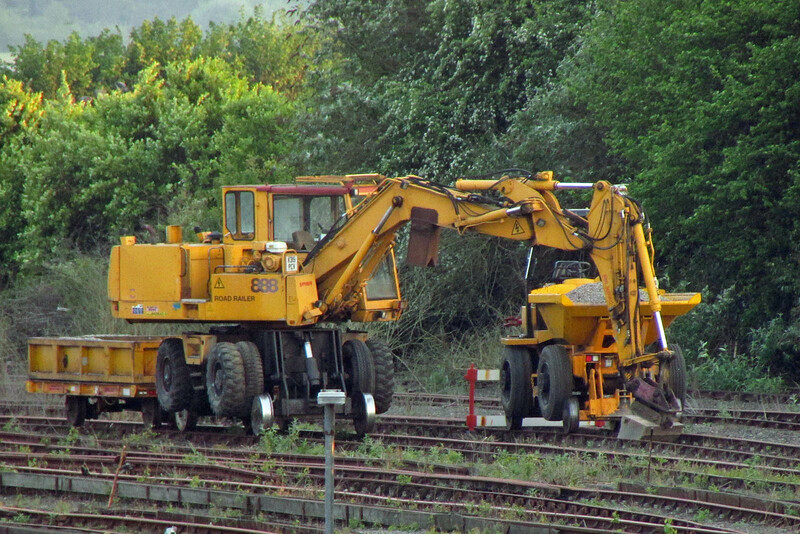 Case Poclain 888P / Rexquote 116 Road/Railer Excavator 99709 940642-0 / E003 / 'K319 PCV' works in the carriage sidings at Eastleigh.